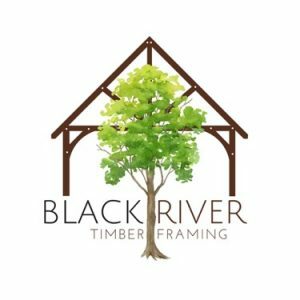 There are tons of great speakers taking the Stage this weekend at The Main Stage, sponsored by Black River Timber Framing. Take a look at who’s speaking and time your visit to be sure you don’t miss out! Learn how to improve heating & cooling from your top storey to your basement. Tarion 101: Resources to help manage your home warranty. The Path to a Successful Renovation. 2PM – 7 Tips to Surviving a Reno with Stefanie Coleman-Dias, Coleman Dias 3 Construction Inc.
12NOON – How to Make a Spring Topiary! with Justine Bouvier from Fleurishes. 1PM – Learn from the team at Libro Credit Union how to finance your renovations with confidence. 2PM – Join Peter “BamBam” Bamford, as seen on Netflix and Cottage Life Network’s Backroad Bounty and owner of Bamtiques, as he shares his adventures in treasure hunting throughout Southwestern Ontario and the Muskoka’s – presented by IHasta DIY Online Auctions! 3PM – Heather Bailey from Rural Roots Landscaping will teach Designing with Plants – a Crash Course, to give homeowners some building blocks for planning a garden. Ultimate Vacation Contest is back!! Major Show Sponsor Rembrandt Homes! previous post: Ultimate Vacation Contest is back!! Get a quote on a booth for our upcoming show now!